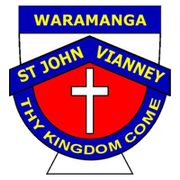 School-wide Positive Behaviour Support (SWPBS) continues to be one of St John Vianney's priorities, acknleging students who demonstrate making 'right choices'. SWPBS is an evidence-based framework for preventing and responding to student behaviour. It aims to create a positive school climate, a culture of student competence and an open, responsive management system for all school community members. It includes analysis of data in professional learning teams, implementation of evidence based practices and organisational systems for establishing safe, purposeful and inclusive school and classroom learning environments while providing the individual behaviour and learning supports needed to achieve academic and social success for all students. We will use this framework to reinforce the rules and responsibilities from our Behaviour Management Policy. Part of our practice is to inform students of these rights and encourage discussion about why these rights are important, what each one means and how we can go about ensuring these rights, both in and out of class. The ‘rights’ listed below form the basis of all our school rules and are displayed in all classrooms. Over the last few weeks every class has broken open these rules to create common knowledge about what these rules look like around the school. Students cannot learn well or socialise effectively if they feel unsafe in the classroom or playground. Safety at school includes psychological and emotional safety, the right to privacy and personal space as well as a safe and clean physical environment. Students need to have their efforts recognised, to feel supported when they make mistakes and to receive assistance and encouragement. The teacher needs to be able to focus time and energy into supporting learning. Class developed rules can support a learning culture and environment. Students should be able to express their thoughts, beliefs and feelings without fear of racism, ridicule or bias. All students should feel included and be treated with dignity and respect, even when being disciplined. Such rights can only be enjoyed when people are acting responsibly. All children need to feel that school is a safe place where people will care about them, where their needs for support, respect and friendship will be met, and where they will be able to get help to work out problems. When these needs are met children develop a sense of belonging at school. Belonging is very important for children’s mental health and wellbeing. Children who feel that they belong at school are happier; more relaxed and have fewer behavioural problems than other students. They are also more motivated to learn and be more successful with their school work.